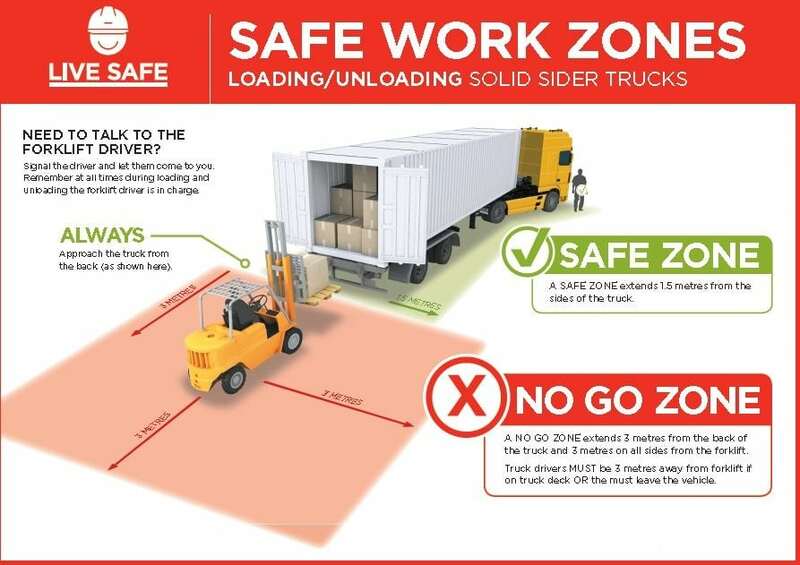 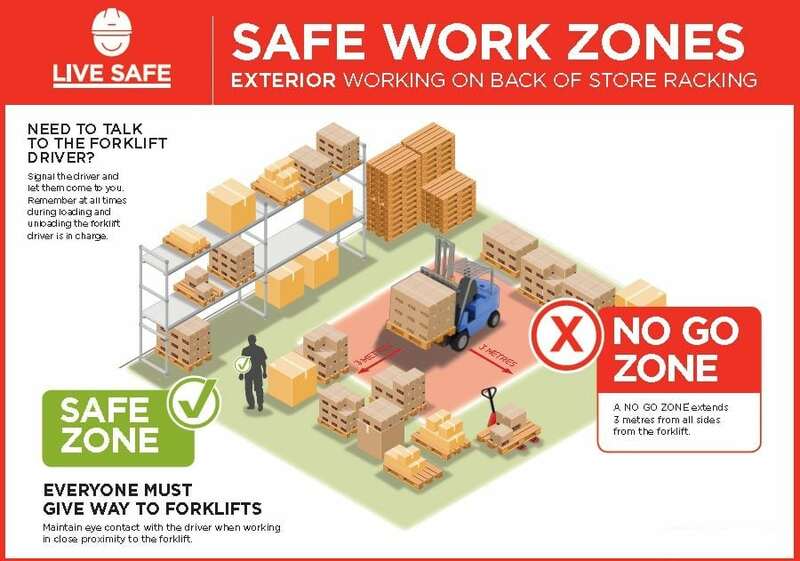 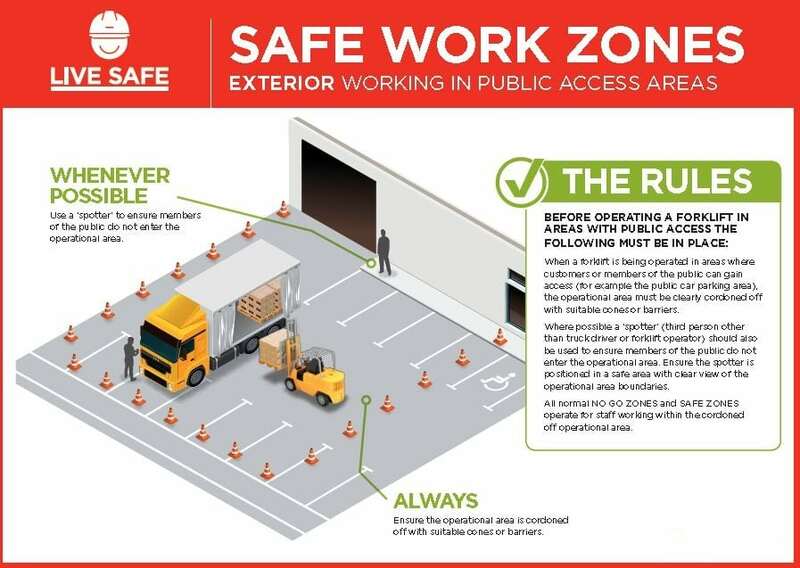 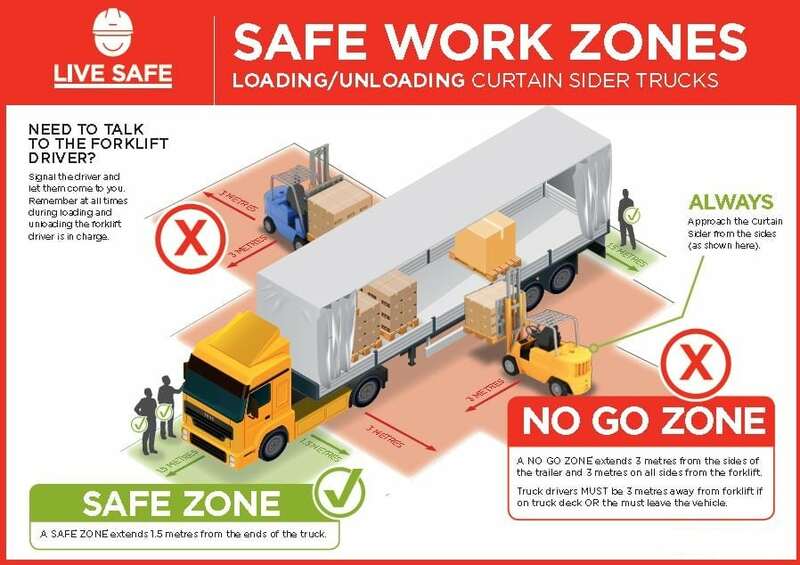 Foodstuffs North Island has developed and shared a compelling safety campaign around the use of forklifts in and around its stores. 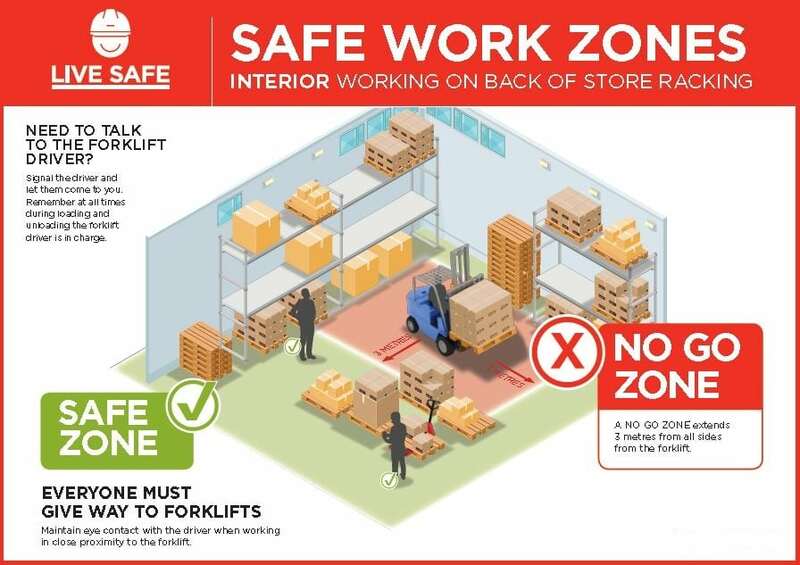 It features a series of attractive and easy-to-understand graphics which cover nine forklift operations, ranging from loading curtain sider trucks to shelves in-store, and everything in between. 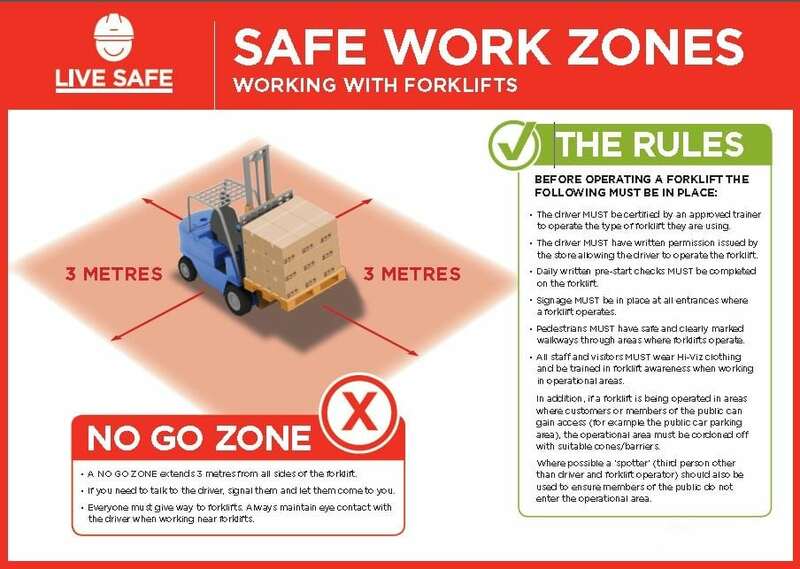 See the diagrams below. 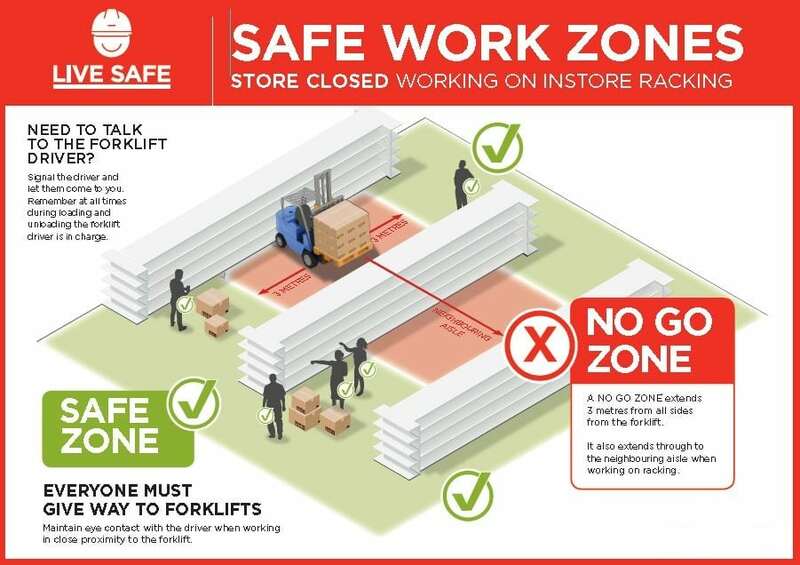 In addition to the diagrams, Foodstuffs issued the following to its stores: a letter outlining store requirements and how to use the kits, a pad of 50 quiz sheets, the WorkSafe code of practice for forklifts, a staff training document, a pre-start checklist, and an authorisation-to-operate template. 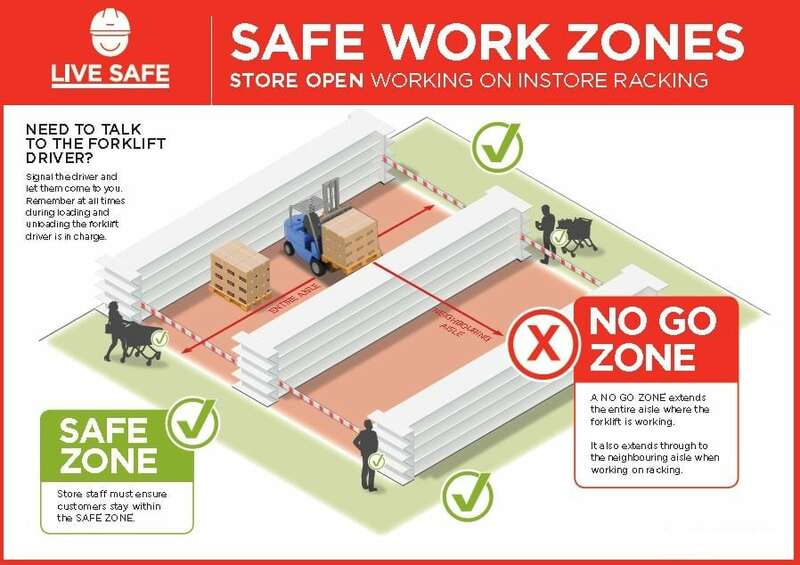 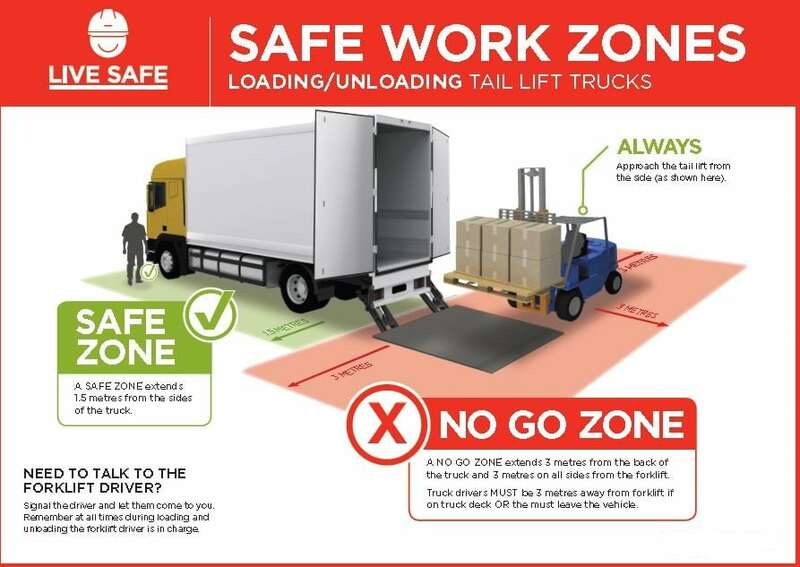 Gerry Lynch of Delmaine Fine Foods, who chairs the pan-industry healthy and safety working group – FGC’s H&S working group, Foodstuffs, The Warehouse, and Progressive – says this is a great initiative that suppliers will welcome as a way of reducing risk.